Have you ever imagined what it’s like to explore the world’s most livable city? 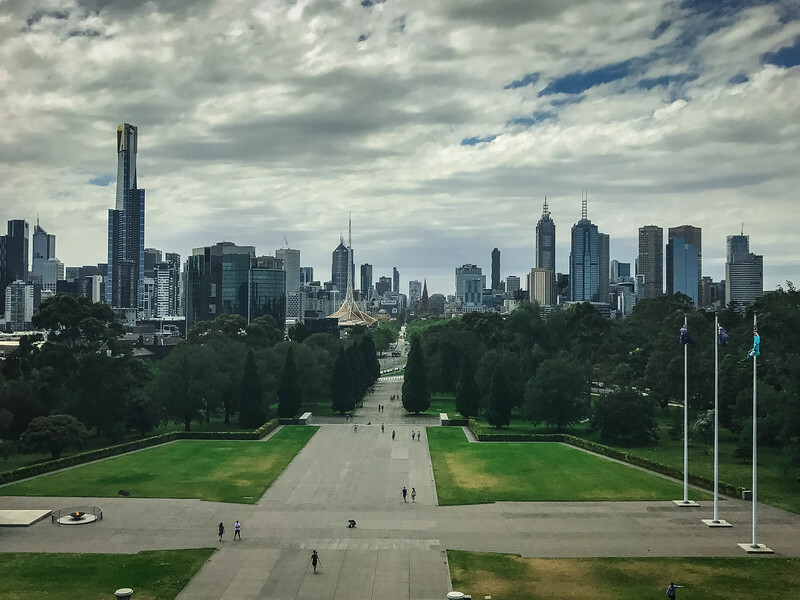 We had an opportunity to experience a week in Melbourne, Australia and it’s no surprise that we immediately realized why this beautiful city earned that coveted accolade. 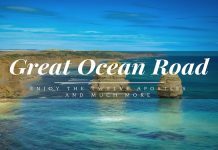 We used our time in Melbourne to take a trip along the infamous Great Ocean Road but the majority of our time was spent in the heart of the Melbourne CBD. 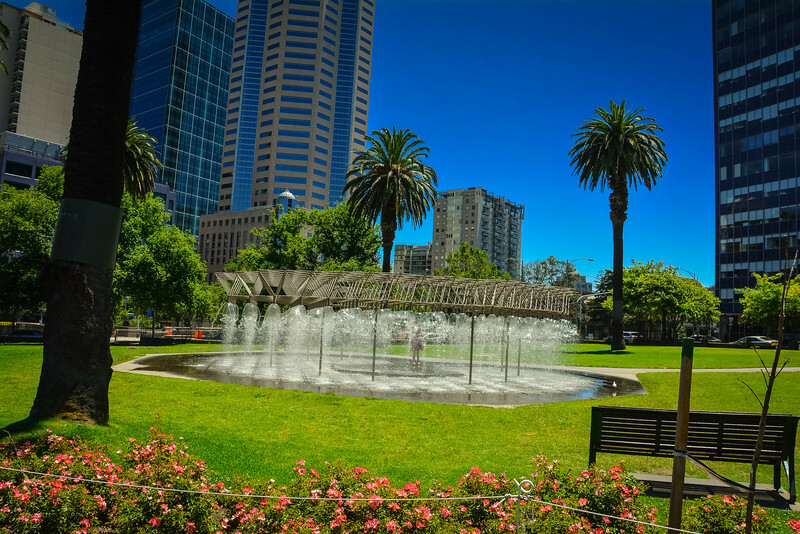 Downtown Melbourne is a beautiful area full of historic architecture, a number of parks where you can relax and enjoy nature away from the urban environment and of course, a variety of iconic sporting venues that make this city so popular. We haven’t even mentioned the delicious local and international cuisine options that are available throughout the diverse neighborhoods that have helped Melbourne become the world’s most livable city. Although we spent a week in Melbourne, we want to share how you can enjoy 48 hours in this city. Let’s take a look at some of the top attractions you can enjoy if you only have two days here, but first, we want to recommend a great place to stay in the heart of the city. Where to Stay in the Melbourne CBD? 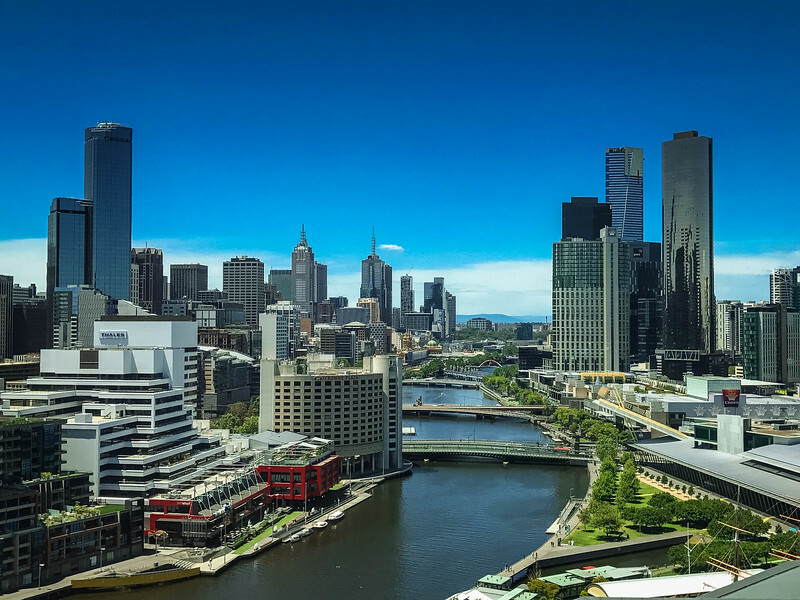 If you are considering exploring Melbourne in the near future, you will likely want to figure out the best place to stay in the central business district. 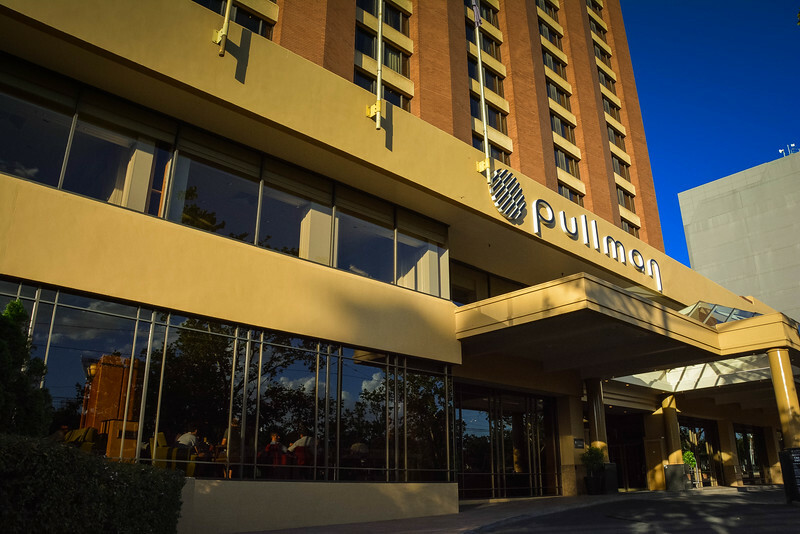 There are plenty of options but we highly recommend the Pullman Melbourne on the Park. But why is this the best hotel in the Melbourne CBD? A number of reasons but the old saying of “Location, Location, Location” springs to mind when assessing the advantages of this hotel. In close proximity to the Melbourne Cricket Ground, the Pullman Melbourne on the Park provides easy access to downtown but is far enough away from the main hustle and bustle of the city to enable guests to relax and enjoy the solitude of nearby Fitzroy Gardens. Arriving at the iconic Flinders Street Station in Melbourne, we hopped on the free tram and took a short walk to the hotel. 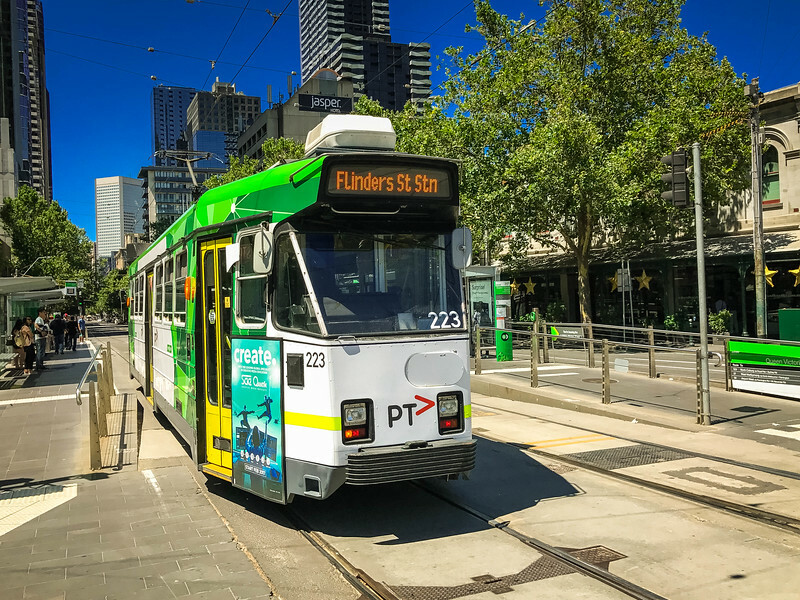 This proved to be a great location to head out and explore the rest of the city, especially being able to use the free tram network which is a great method of public transportation in Melbourne. 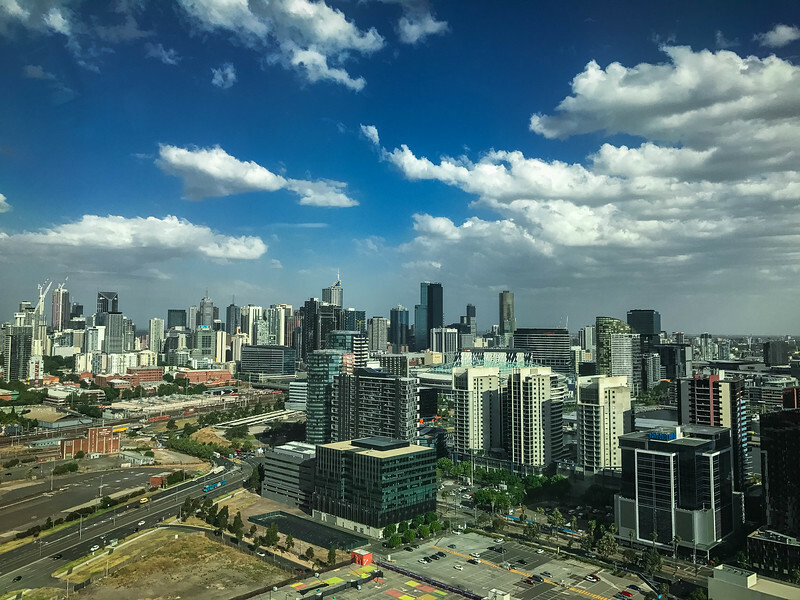 We enjoyed two nights at the Pullman Melbourne on the Park and having devoured an amazing breakfast both mornings, we were ready to head out and explore everything the “City by the Bay” had to offer. The most difficult part about staying at the Pullman Melbourne on the Parks is that everything about the hotel entices you to stay inside or enjoy the amenities available rather than heading out to explore! 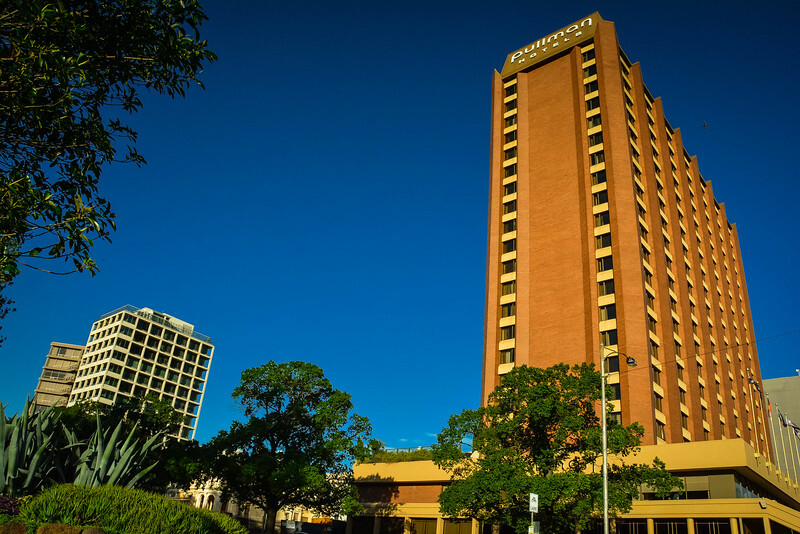 Looking for something a little more luxurious and convenient to the CBD? 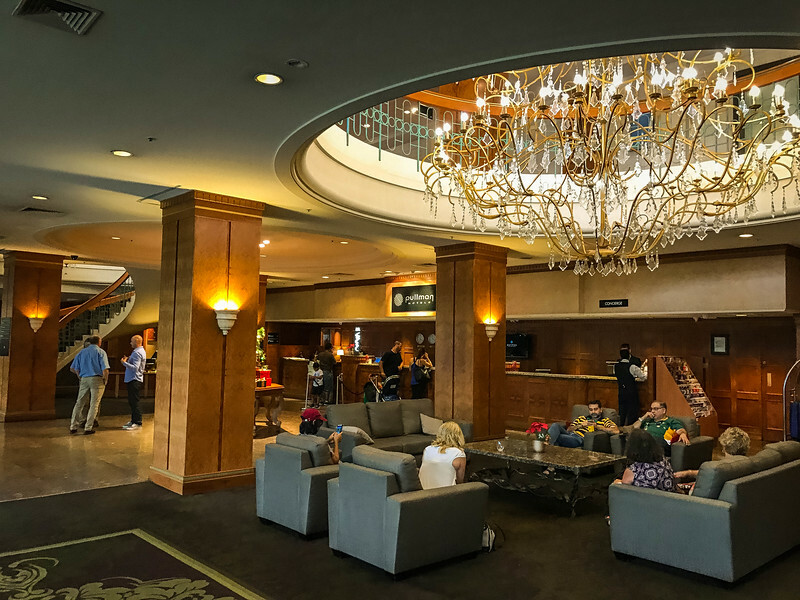 You may also check out these 21 Popular 5-Star Melbourne Hotels for Luxury Travellers by HotelsCombined for more convenient accommodation options in Melbourne. 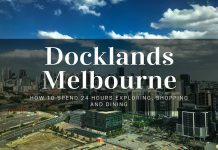 If you only have 48 hours to explore Melbourne, be prepared to wake up early and don your walking boots because there is a lot to see in such a short time. Don’t worry, it’s well worth the effort and you will appreciate making the most of your time here. Both days may seem like a lot but a lot of these attractions are within a relatively short walking distance of each other. 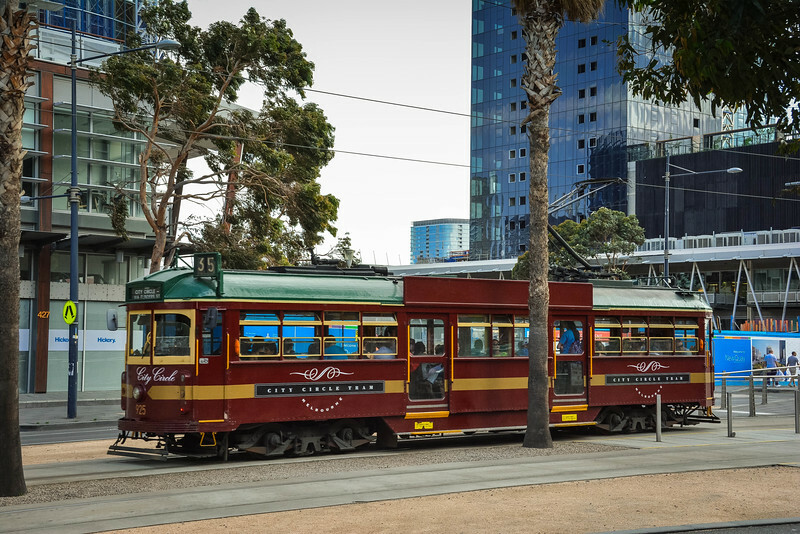 The free tram network is also a great resource to take advantage of while exploring Melbourne’s iconic attractions. This type of itinerary does not lend itself to spending a lot of time at all of these spots. Let’s take a look at some of our favorite places that you could likely spend a little more time visiting. It’s one of the iconic cricket venues around the world and just passing by the “MCG” is a memorable experience. 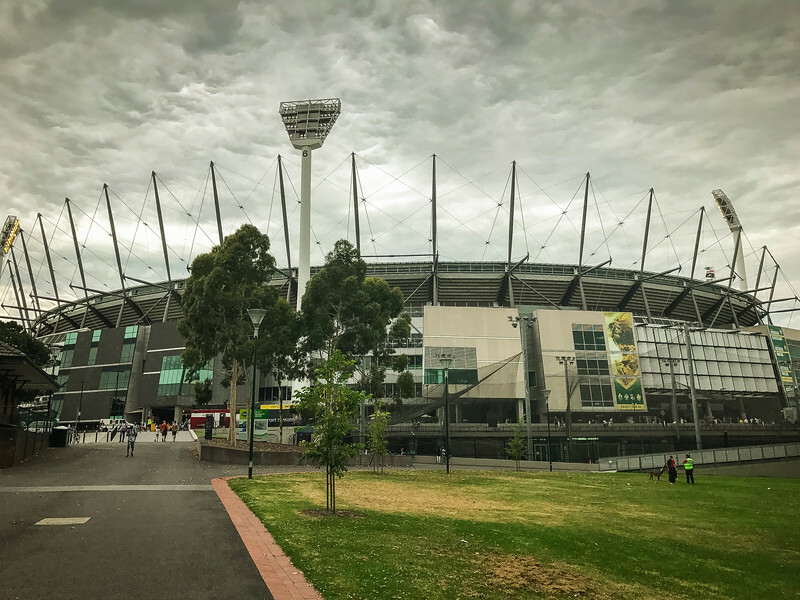 If you are able to spend a little more time in Melbourne, try to find tickets and attend a cricket match because inside the MCG is even more spectacular. We felt incredibly fortunate to attend one of the Australia’s most iconic sporting events – the Boxing Day Test match between Australia and Pakistan. 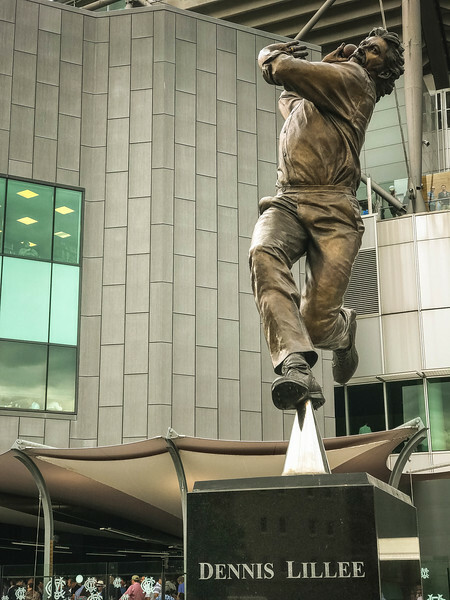 Walking around the outside of the stadium, you will pass by statues of some of Australia’s most infamous cricketers – Sir Donald Bradman, Shane Warne, and Dennis Lillee to name just a few. 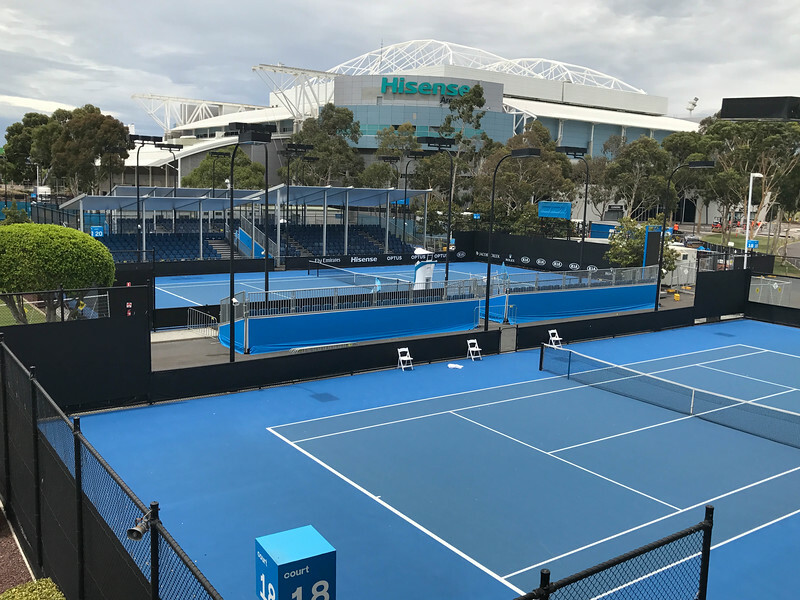 Take a short stroll from the MCG to explore another iconic sporting venue, Melbourne Park, home of the Australian Open tennis tournament. Preparations for the 2017 tournament were underway as we walked through the venue but just thinking about the legends that have walked these grounds was an awesome feeling. From the historic Rod Laver and Margaret Court Arenas to the newer Hisense Arena, just walking through this venue en route to the Royal Botanic Gardens made us realize that we have to make a return trip to Melbourne during the Australian Open. 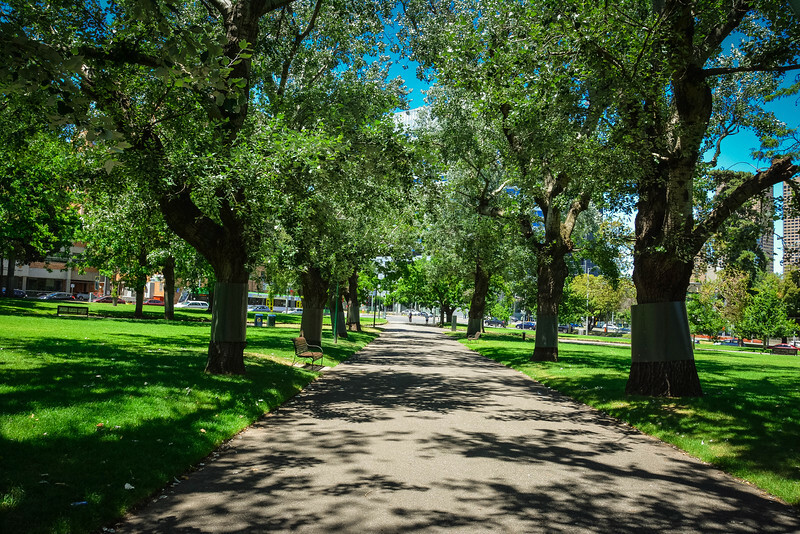 The walk from the Pullman Melbourne on the Park to the Royal Botanic Gardens Melbourne may seem like a fair distance but after passing through two of the world’s most iconic sporting venues, you will soon realize it’s worth the effort. 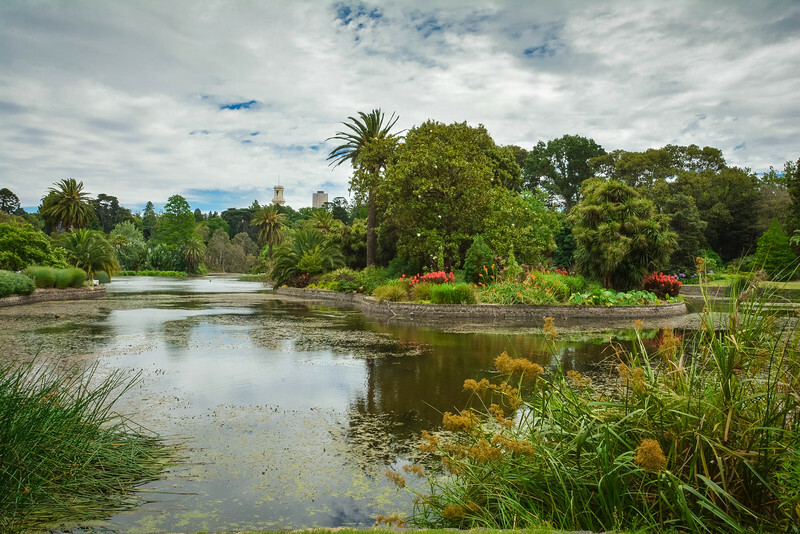 As we crossed the Yarra River and entered these Botanical Gardens, we soon felt transformed from an urban environment to an area of relaxation and solitude. A moment of quietness could be found with the only sounds being emitted from the local wildlife going about their daily routine. 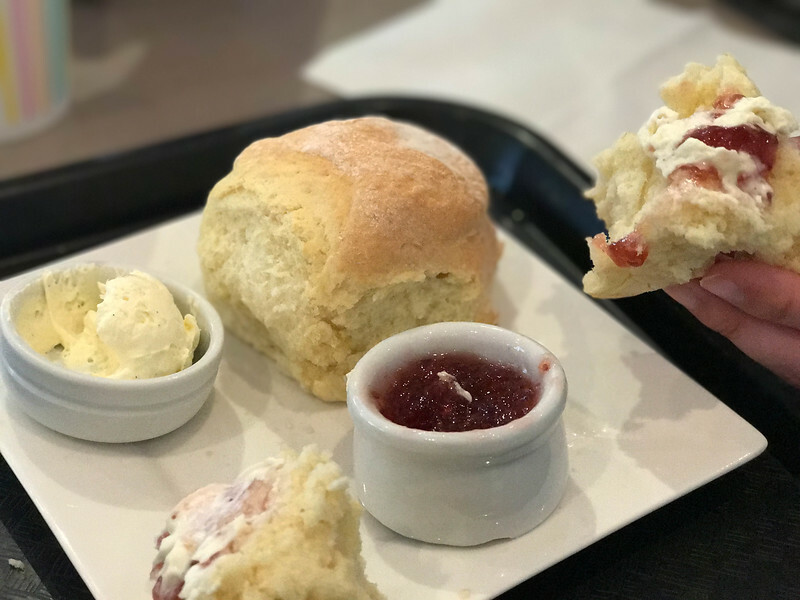 You could easily spend hours exploring the 94 acres of these gardens but a quick visit to the local tea room to enjoy a very British cream tea (scone with vanilla bean cream and jam!) was the perfect way to cap and awesome morning in these gardens. On the edge of the Royal Botanic Gardens Melbourne is another iconic landmark, the Shrine of Remembrance. It’s historic, it’s architecturally beautiful and the views from the summit are breathtaking as you admire the Melbourne skyline. 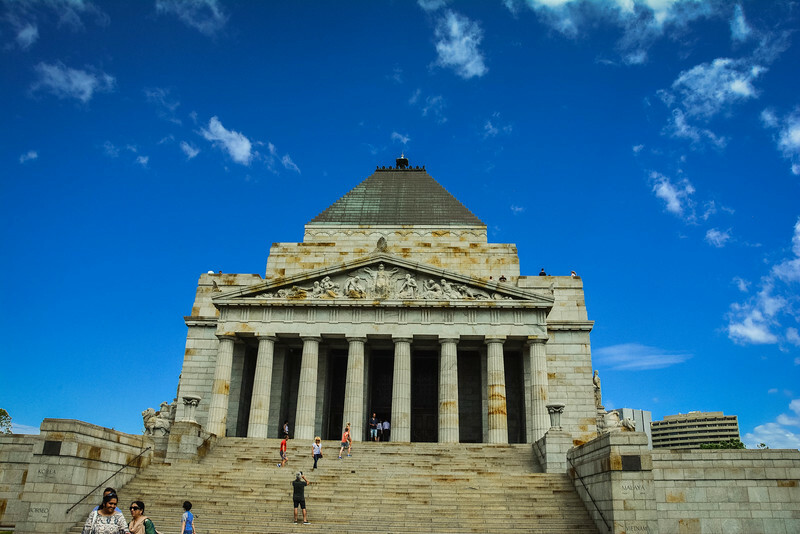 Originally constructed in 1934 to serve as a tribute to those folks from Victoria that served in World War I, the Shrine of Remembrance is now a fitting memorial to all Australians that have served in wars around the world. 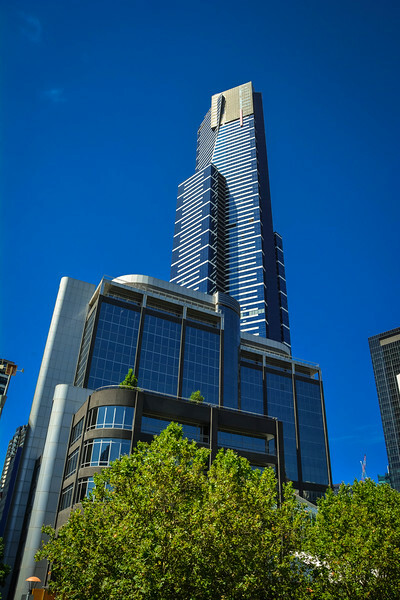 A trip to Melbourne wouldn’t be the same without taking a trip to the Eureka Skydeck at the summit of one Australia’s tallest buildings. The most intriguing aspect of this visit is “The Edge” which offers visitors the opportunity to test their nerve and head out on a glass platform with the city of Melbourne below them. 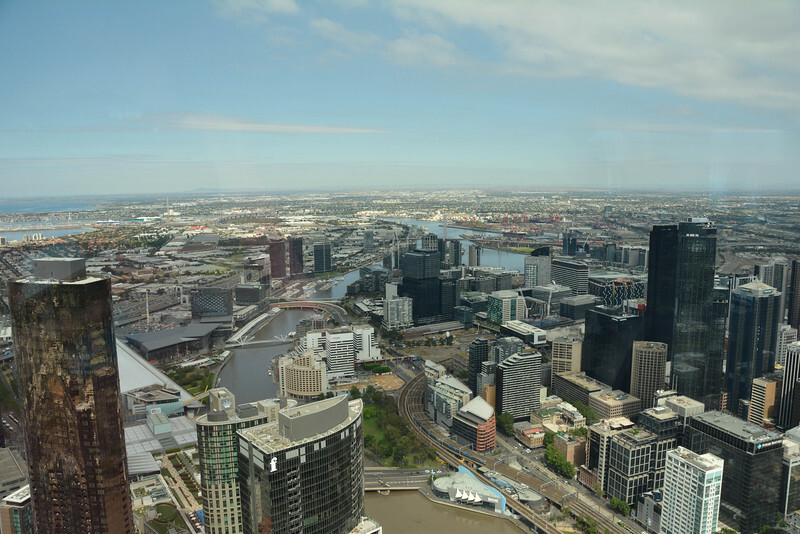 The panoramic views from the Skydeck are breathtaking it’s a great way to pick out your favorite attractions and plan your next move as you explore the Melbourne CBD. Melbourne is an iconic city and possibly two of the most quintessential landmarks are Flinders Street Station and St. Paul’s Cathedral. 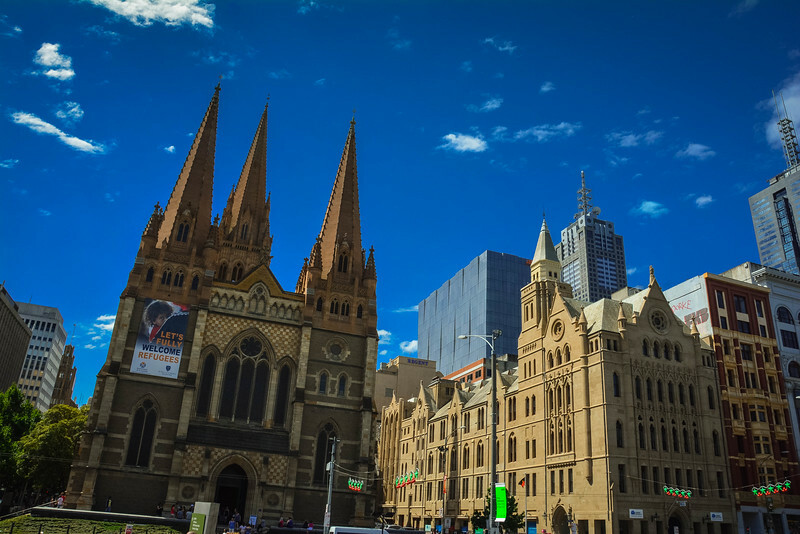 Directly opposite each other on the corner of Flinders and Swanston Street, these are historical landmarks that you should spend some time admiring. Flinders Street Station dates back to the start of the 20th century when construction started in 1905. Before the development of Federation Square, this railway station was frequently known as Melbourne’s favorite meeting place. St. Paul’s Cathedral is much more modern as it opened in 1931 but unequivocally offers a place of beauty and worship unlike anywhere else in the city. Why not take a 30-minute romantic journey on the Melbourne Star to enjoy stunning views of the Melbourne skyline. 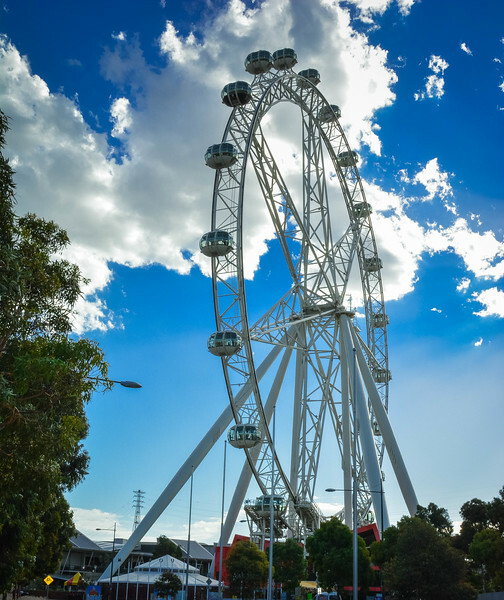 This observation wheel is located in the Docklands area which is a great area accessible via the free tram network and offers one of Melbourne’s best retail spots – Harbour Town Outlet. 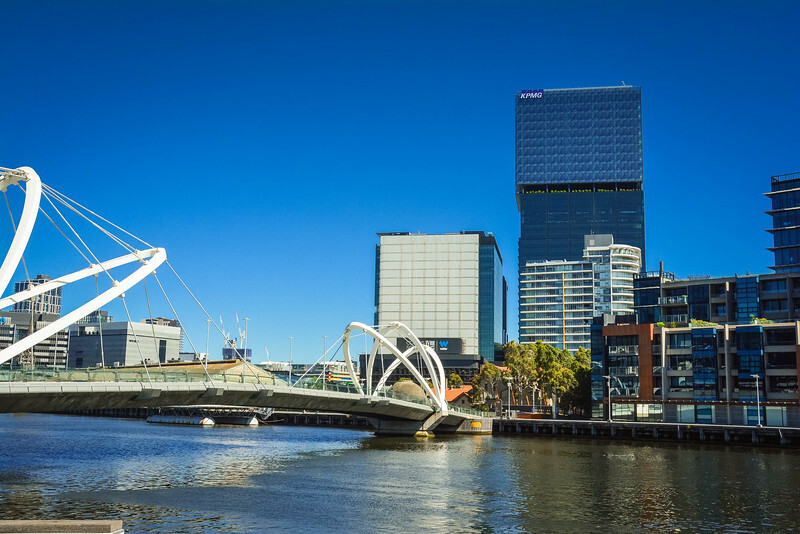 The Docklands area may not technically be in the heart of the Melbourne CBD but it’s a great place to visit for shopping, restaurants, and of course, for the stunning views of the downtown area. 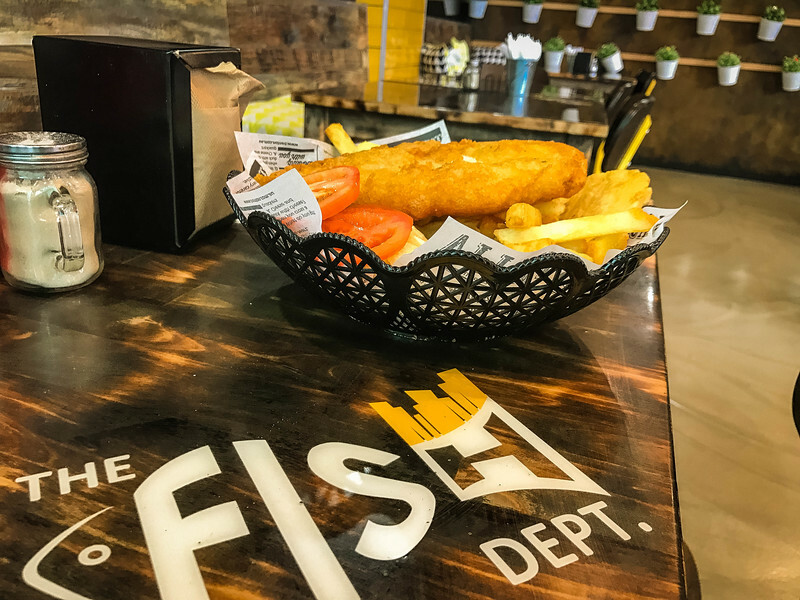 Not only can you enjoy a little retail therapy here at affordable prices, we also recommend sampling The Fish Dept. for lunch or dinner. There is nothing quite like Aussie style fish and chips. As you wind down your day exploring Melbourne, head back on the free tram to take advantage of your second trip around the Melbourne Star (purchase a ticket that allows two visits and take one during the day and after dark). 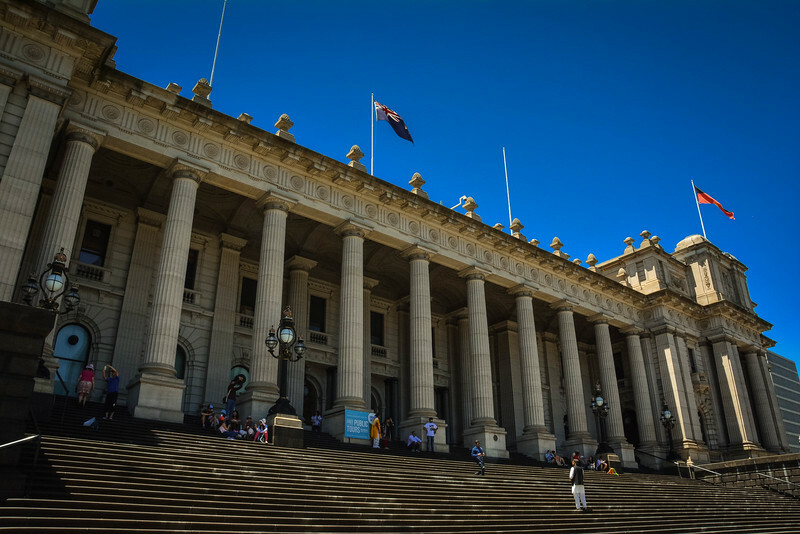 Having explored much of Melbourne’s “modern-day” infrastructure, be sure to spend some time visiting historic locations like Parliament House and St. Patrick’s Cathedral. 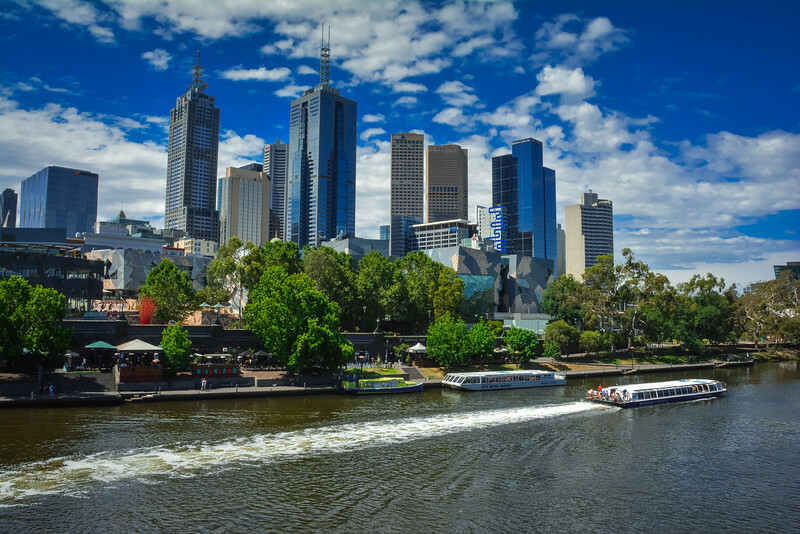 Both of these locations date back to the 19th century, offering visitors an opportunity to see what Melbourne was like during its founding years (Melbourne was founded on the Yarra River in 1835). The Gardens outside of the Parliament House offer another relaxing environment, particularly the cascading cool water that streams out of the Coles Fountain in the center of these Gardens. For those of you that have a passion for architecture, you will soon realize that St. Patrick’s Cathedral is a stereotypical example of Gothic Revival design. 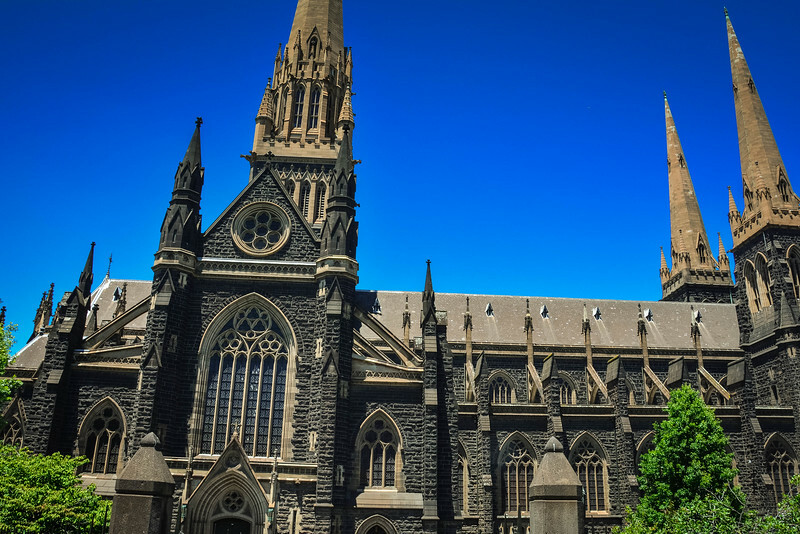 Not only is it hugely impressive in terms of the intricate details of the design, it can also lay claim to being the tallest church in Australia! A short walk from Parliament Gardens if you head north along Nicholson Street will lead you to a World Heritage Site. Carlton Gardens is designated as such in conjunction with the Royal Exhibition Building which sits in the middle of these gardens. 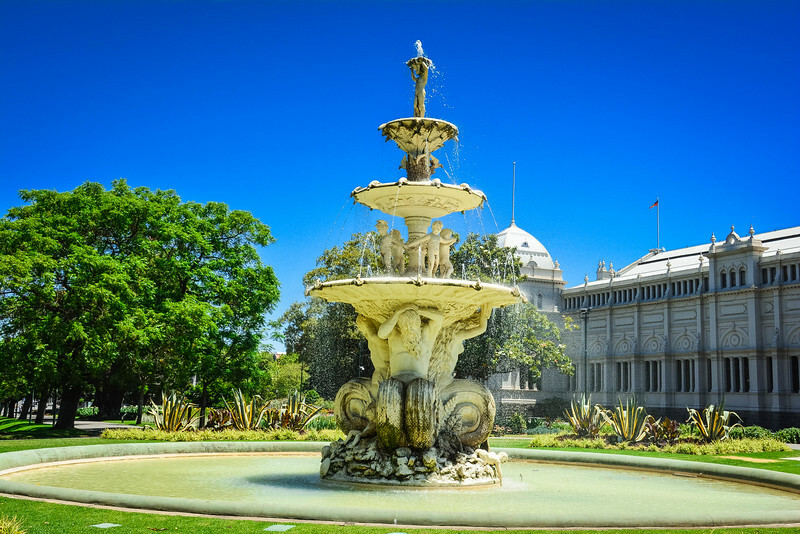 Carlton Gardens offer gorgeous fountains, blooming floral arrangements and perfectly manicured trees that will make botanists quiver with delight as they wander through this gorgeous park. 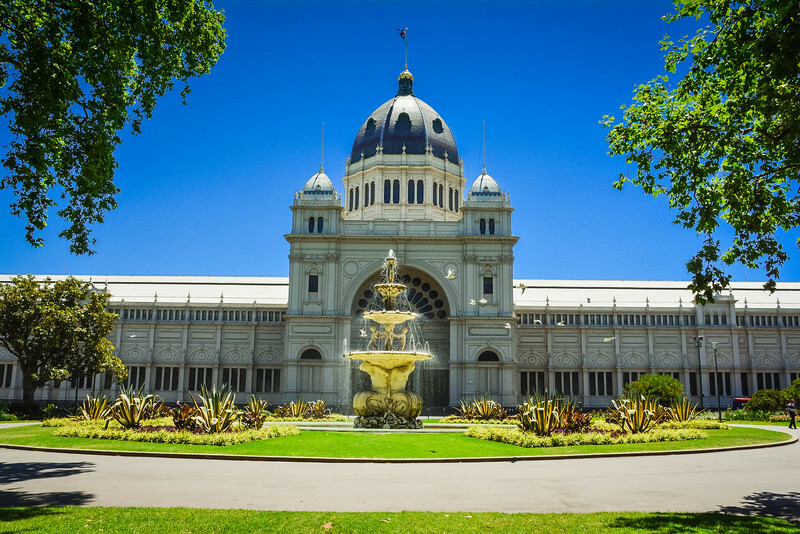 Locals and visitors alike can be seen relaxing on the grass as they admire the architecture and surrounding beauty that creates a perfect environment to enjoy the Melbourne sun. 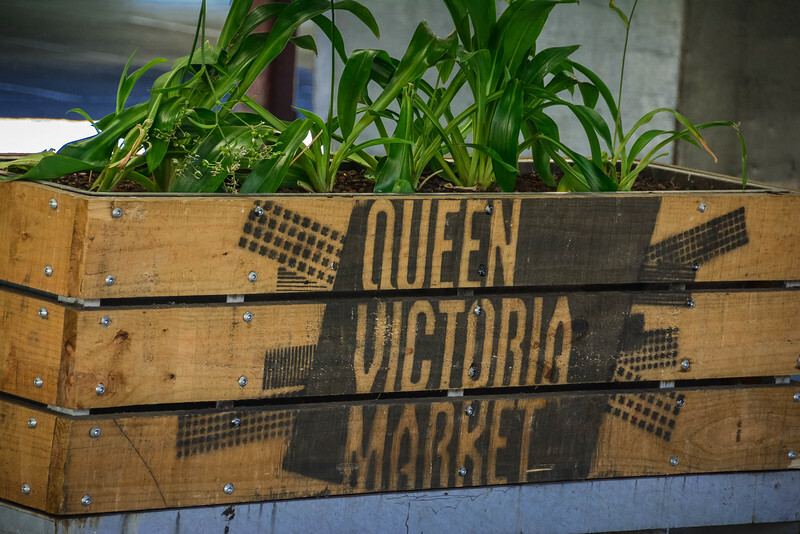 Locals will claim that you have saved the best until last if you choose to visit the Queen Victoria Market at the end of your 48 hours exploring the Melbourne CBD. 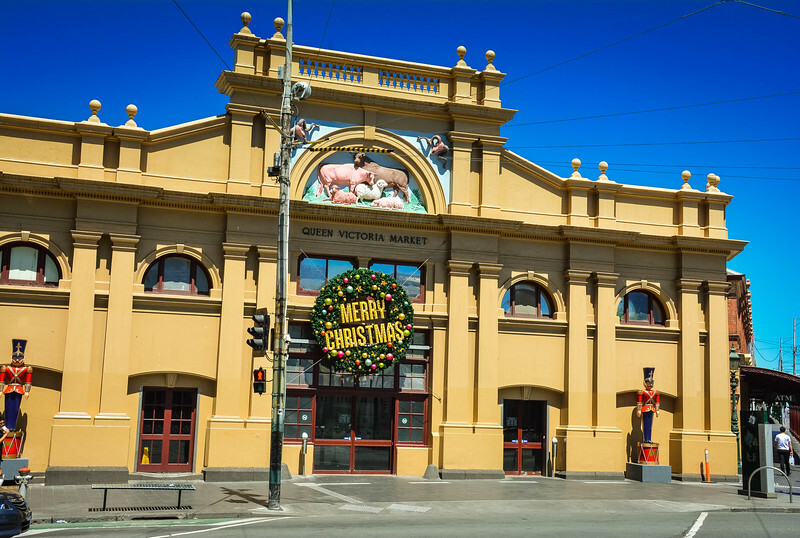 Frequently referred to as the “heart and soul” of Melbourne, this popular attraction is a great place for locals to enjoy local food halls or simply stroll around the largest open-air market in the Southern Hemisphere. We visited the “Queen Vic” on Christmas Day during our recent visit to Melbourne so of course, it was closed! This was one of the most disappointing aspects of our visit and we cannot wait to head back to Melbourne just to experience the hustle and bustle of life in this historic marketplace. As you can see, this was a pretty action-packed itinerary but if you only have a short time in this vibrant city, you have to make the most of it. 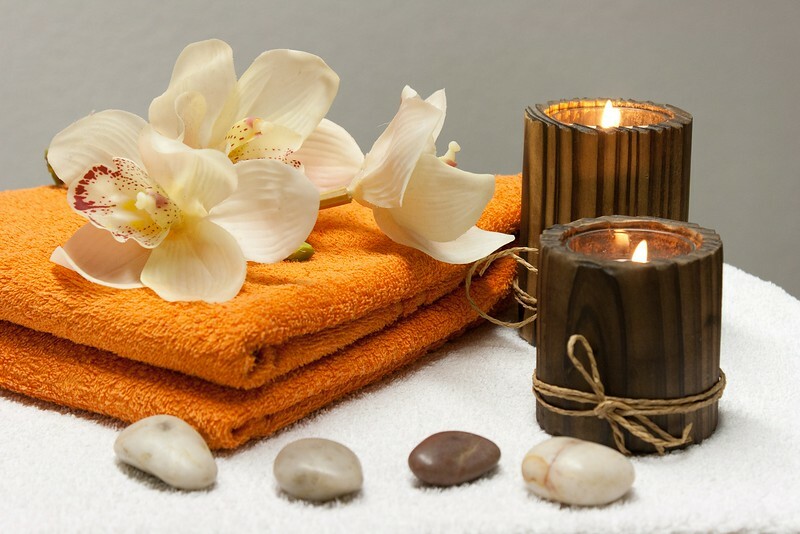 Be sure to check out many of the local offers available to enjoy a little relaxation while in the city, such as Groupon’s spa deals in Melbourne. Just like anywhere else in the world, Groupon is always one of our favorite “go-to” apps to find the best local deals. After a long day of exploring, there is nothing quite like having the opportunity to unwind and enjoy the “ultimate” relaxing spa experience. For those of you that prefer to unwind with your favorite aperitif, don’t worry, Melbourne is home to a variety of awesome bars, restaurants and coffee shops where you can just hang out with the locals and find out the best local spots across the city. 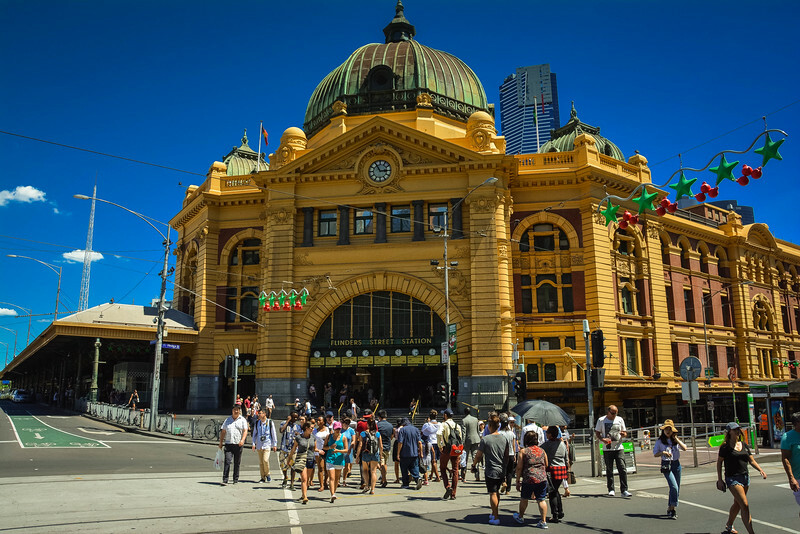 If you only have 48 hours to spend in the Melbourne CBD, you must be crazy! In all seriousness, you can see a lot of Melbourne’s iconic attractions in a short time, primarily because many of them are in close proximity to each other and also because the free tram network is an awesome way to get around the city. 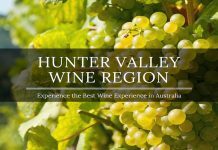 For those of you that can spend a little longer here, I am sure you will be intrigued by many of the attractions we have mentioned and you will likely want to spend more time in each one learning about the history and beauty of these spots. We can’t speak highly enough of the Pullman Melbourne on the Park Hotel. Regardless of the length of time you are staying in Melbourne, this is a great option and as you can see, it provides a perfect spot to get out and explore many of the city’s iconic landmarks. We cannot wait to head back and visit the world’s most livable city, it truly is spectacular. Spectacular guide and stunning pics really help bring it to life. I can’t wait to get to Australia. Any airlines that fly from the East Coast of USA that you would recommend? Thanks so much for your kind words John! I may be wrong but in terms of direct flights to Melbourne, Los Angeles and Honolulu are the only two US options. However, with a single connection, you could fly anywhere from the United States (within reason of course!) including all of the major hubs along the East coast. We have flown Qantas before when we flew from Dallas to Brisbane in 2012 and had an awesome experience with them so can highly recommend them. WOW…Melbourne was always a favorite. I am planning to pay a visit with my family after 2 months, will surely consider your tips to make my journey a painless one! It seems that you had quite a great time in Melbourne. Anyhow, keeping writing and keep on enjoying. What a great guide! Melbourne looks really very beautiful. Your picture make me want to go there and see all the things which you mentioned. Thank you so much for sharing this post. Keep posting. The most i liked in this is the Itinerary part, people explore places without improper itinerary which ends up in not covering many places. cheers to you Chris, you’ve done an excellent job by including itinerary too.. the images used were also very good. Your article has given me lots of ideas. 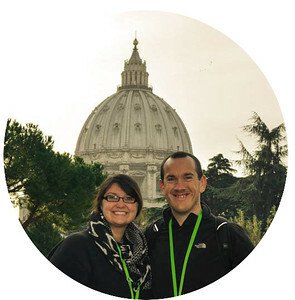 Thank you for sharing this blog here with us!